March 19th • Amazon's Alexa - the personal assistant that launched with the Amazon Echo smart speaker - completely dominates the US market at the moment, for smart speakers. As a result, many users from the US have requested to make myNoise accessible from Alexa. The website already keeps me so busy - and that includes adding new sonic contents regularly - that I couldn't imagine finding the time to take care of yet another platform. The frustrating experience with the Google Play Android app - still going on - explains that feeling. But, when I was kindly offered help by BotTalk - a small German startup that specializes itself in creating voice interfaces - I couldn't refuse. It was clear they knew what they were talking about. I then met BotTalk's founder Andrey Esaulov in Cologne last year, and we got along well. Couple of months later, the results of our encounter is now available as the myNoise skill for the Amazon assistant. Only available for English countries at the moment; localization will follow later. If you are in the US, UK, AUS or India, please have a try on your Amazon assistant : Alexa, open myNoise. The skill comes with five ever evolving soundscape at the moment. More will come if the it proves to be successful. Help us getting popular by leaving a positive review on the myNoise's Alexa Skill page. Thank you! Feb 6th • Due to the lack of participants - less than a dozen people in total - the I Love You project has been cancelled, at least for Valentine's day this year. As promised, I picked up the participant who sent the largest number of contributions, and this was Aline, from France. Your recorder and custom binaural microphones are on their way to you! July 13th • I will be performing at O.Z.O.R.A. 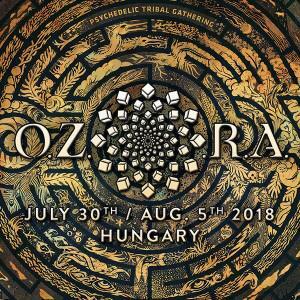 this summer - the famous psy-trance gathering taking place in Hungary every year. Join me at their brand new Ambyss stage for a sound journey. I will be performing twice, on Wednesday August 1st and Thrursday 2nd, 6PM. If you're a fan of myNoise and interested in a free beer, please drop an email to me so that we can meet there ;-) Cheers! June 22nd • The myNoise YouTube channel is slowly growing, with almost 5k subscribers now. I just finished a trailer for the channel, with the kind help of Mike Paul a fan of myNoise and voice-over talent. Please subscribe to myNoise on YouTube if you like it, as I will publish audio there that may not always be available on the website. Don't worry, I do not intend to shift the myNoise presence from the website to YouTube, but simply try to reach a wider audience, as the website has experienced stagnation over two years now (sad but true). Plus, YouTube allows to publish audio that can't fit into the 10 colored sliders concept. For example, I can publish longer chunks of audio recorded during my sampling sessions on youTube, than what my sliders can reasonably accommodate. Though the website still remains and will remain my priority, I'd love to see you on YouTube as well ;-) Enjoy! March 23 • I am currently uploading all the myNoise audio albums, to YouTube. It will take a couple of days, if not weeks. I will probably create specific contents for YouTube as well, once I have a sufficient follower base there. 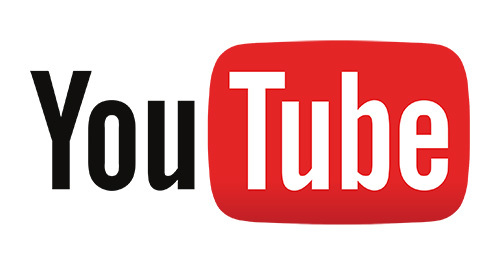 If you like that idea, please subscribe to the myNoise YouTube Channel. I will be posting sounds mostly - myNoise sounds playing on top of a static image, that is - not videos. They might be boring to *see* but you are not supposed to look at my sounds anyway ;-) The static image trick helps keeping a lower bandwith, which translates into a better sound quality as the whole bandwidth will be dedicated to the sound, not the moving images. To get verified by YouTube, I need at least 1000 followers. If you have a YouTube account and you are a fan of myNoise, please help me by subscribing. Thanks! Jan 15th • Happy New Year to all of you! Today, I am introducing a new feature that took long to implement as I had to wait browsers to all migrate to the modern Web Audio API. The feature is called Tape Speed Control and is available to all my Patrons, under the Preset list of every sound generator. Tape Speed Control changes the speed of the recording like an old tape recorder, and as it does so, also changes the pitch of the recording. The slower you go, the lower it gets, and vice versa. Practically, on tonal sounds, this new feature allows to transpose the sound to a different root key. Musicians will appreciate! On the other noises, such as natural noises, you can use that feature to create variations that aren't possible just by tweaking the sliders. For non-tonal sounds, there is even a Shuffle! option, where tape speeds are set differently for each slider, randomly. In practise, it changes the tone of the recording, as if you were listening to a new recording. Take Japanese Garden, for example. Each time you hit Shuffle!, the chimes will play a different tone, cicadas will change their pitch, birds will sing differently, and the brook will run slower or faster. It creates the illusion that time has elapsed, and that the environment changed. Have a try! (And become a patron if you aren't yet). Dec. 6th • A new sampling session has been booked! 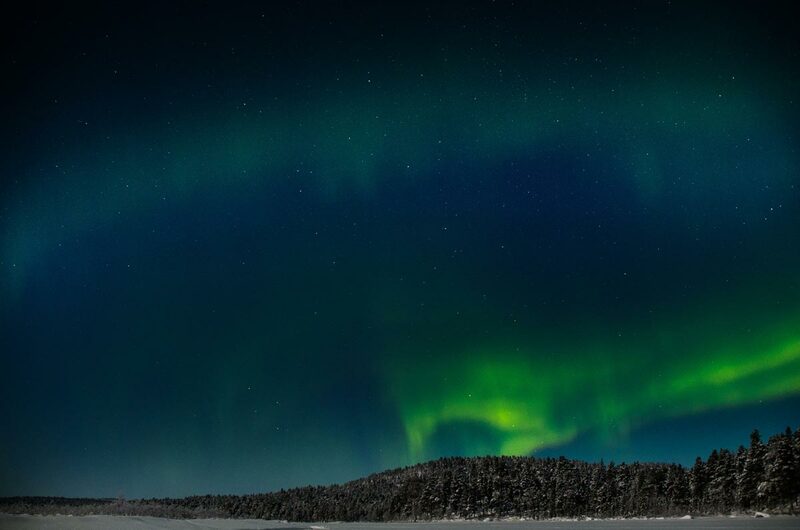 It will take place at the end of April next year, in Sweden, in a quiet Natura 2000-designated area. The spot is rich in forest and wetland wildlife. 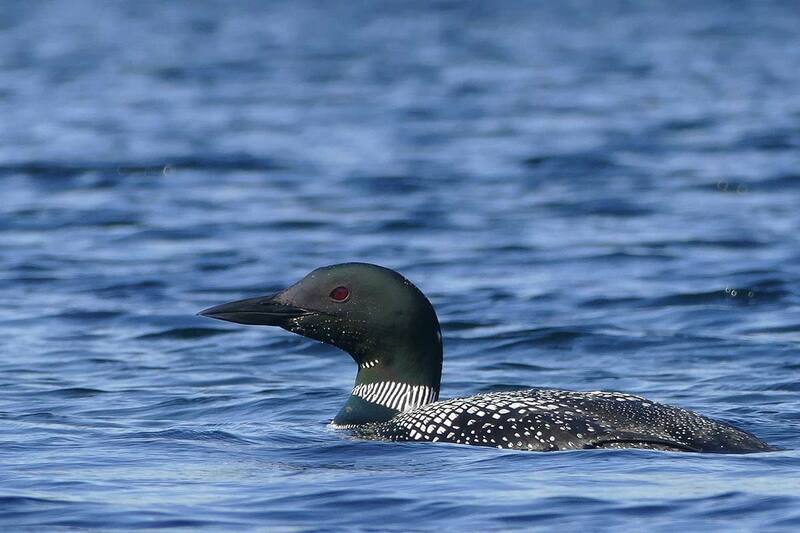 There, I will likely be able to record a recurring request of yours: loon calls. If you are looking forward to these recordings, please help me fund the sampling session with a donation today. 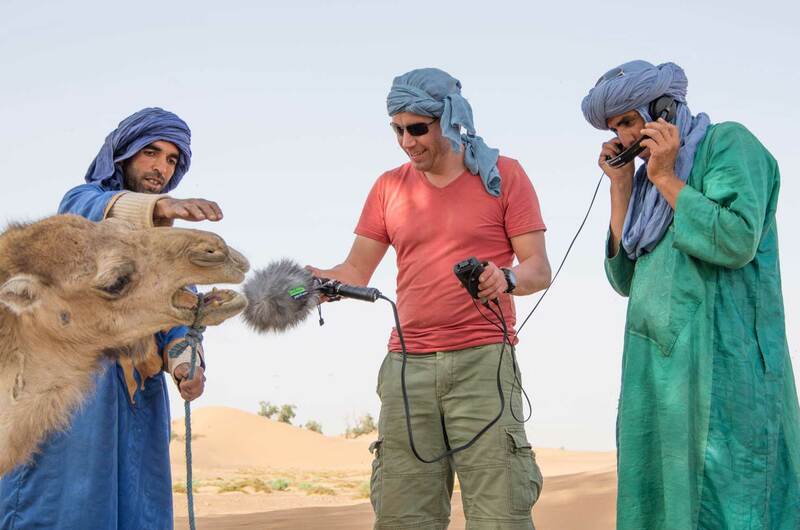 Total expenses will be around EUR 1200 (USD 1400) for 5 days ($250 for the flight, $200 for a rental car, and $950 for the lodging, food, and assistance of a professional naturalist that will help me find the best recording spots). Thanks for your kind support. 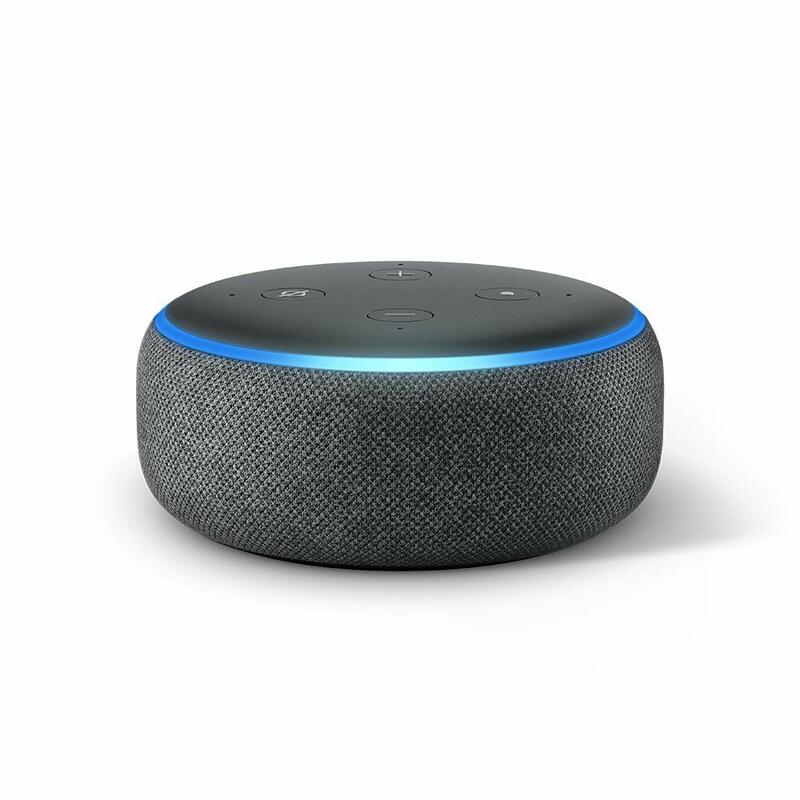 Many people listen to music streaming services nowadays, and this, through an ever growing range of 'connected' devices, including a brand new trend: home assistants (e.g. the Amazon Echo). Providing myNoise sounds on all these devices, would be a nightmare for me; many different technologies I have no idea how to address, combined with the lack of time to investigate, and lack of budget to outsource the development. Now, if I could provide myNoise sounds as part of these streaming services' catalog, that would address the issue of making myNoise contents accessible from many devices I do not support at the moment. And that is possible. This is the reason why I've been working on producing audio albums, and released them on Spotify • iTunes Music • Deezer and Rdio. If you already a subscriber to one of these services – and it's likely you already are – listening to myNoise there will come at no additional cost, while saving bandwidth on my server. Plus, it will support my work since I will get paid when you listen to these tracks. Most services allows you to download songs, and make them accessible offline. Or, you can purchase the complete albums if you prefer. They are available on iTunes • Amazon • Google Play (and more). To find these sounds in your favourite store, search for the artist named... myNoise. A new 'Speech Blocking' preset has been added next to the list of spectral colors available on calibrated generators, such as white, pink and brown. I've found that none of these classic colors was optimized to block speech, the typical open-office scenario that interests many of myNoise visitors. The optimal color in such a case, is the one that corresponds to the average spectrum produced by a group of a dozen people, chatting about 5 meters away from you. That spectrum I have measured, and made it available under the 'Speech Blocking' preset. At same perceptual level, it outperforms all other presets. I was amazed to realise how much difference it makes, and now wonder why I didn't add that preset sooner. Have a try. Select one of the calibrated noises first – such as White Rain – click 'Speech Blocker' under the Preset section, then increase the slider levels until you can't hear your colleagues chatting around you anymore. Magic. Recurring donations. At last, from time to time, people ask me if I could set up a Patreon account, or accept monthly donations. I finally added that option, via PayPal. Now you can contribute with a fiver every month, and stop anytime via your PayPal console. That option is available under the calendar icon on the donation page. Thank you for helping me to keep myNoise alive! July 11th • This blog entry is intended to a marginal fraction of myNoise users, but I have no idea how to reach them other than reaching the global community. Lately, I've been aware of an increasing number of abuse, especially on youTube. Let me write it again: myNoise sounds are for PERSONAL/PRIVATE use only unless you have received my permission. This is clearly stated on the website. I've been too kind so far, by personally contacting the offenders and asking them to stop. Some of them have used my polite asking, to cover their bases and making it more difficult to me to assert my rights. So, from now on, there will be no warnings anymore; people will be cought in the act, by the legal means to my possession. It is my deepest regret to play that sort of game, and to devote precious donation money to legal issues. But at this stage of the myNoise project, I realise that I can't keep adding sounds, pay for the development costs, travels, sampling sessions, musicians, singers, and have my sounds harvested by other sites as soon as they are released. I would like to thank all my patrons for their understanding, even if their support is used for other (important) issues, than adding new sounds. PS. To make it clear, I am very fine with 'Fair Use' of my sounds, especially when used by creative minds. If you feel concerned about this blog entry because you posted some videos online with myNoise playing in the background, ask yourself if you deliberately used myNoise sounds to add value to your video (e.g. a 'sleep' video made of one single static image and a myNoise soundtrack) or simply because myNoise was playing in the background live in your room, when you recorded the video (vlog entry). Technically, both videos have myNoise sounds playing in the audio track, but one is abuse, not the other. 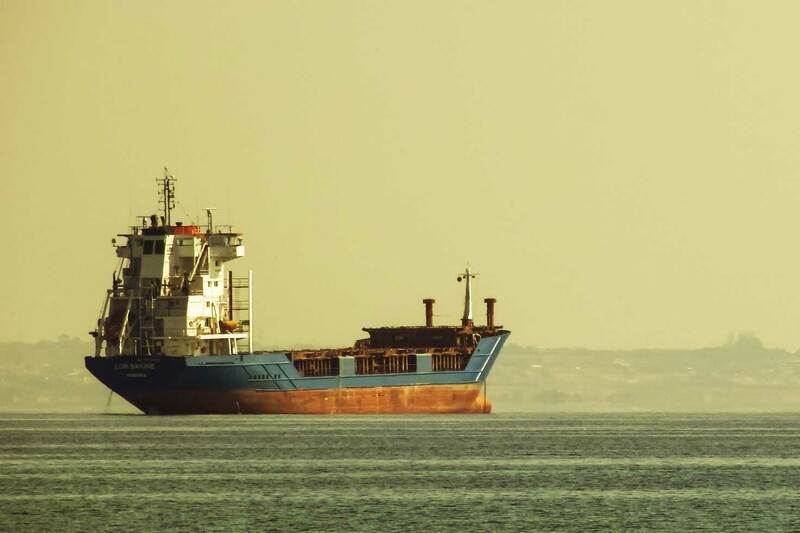 May 29th • A portable recorder has been sent to Oli - a myNoise fan and marine engineer - who started a contract on an oil tanker, and is now leaving solid ground for a couple of months. He got the idea of recording all the noises around the main and auxilary engines, pumps... and possibly alarms, over the length of his contract. It's an exciting idea, since these will be areas one cannot easily have access to. By the way, sending equipment is only possible thanks to those users supporting this website. Thanks to those who did so far! April 26th • Thanks for the support. I noticed a light increase in donations since my last blog entry! Today, I would like to introduce the changes that happened on the website lately. Cosmetic changes – did you notice? - and the new functionalities, such as generator suggestions on every generator page, and new (slider) animation schemes. I received a lot of feedback regarding the lack of control over the animation feature. So far, only animation speed could be modified. People kept asking me if it was possible to add minimum and maximum positions for each slider, for example. That idea was nice, but I was afraid it would clutter the sober user interface. So, I postponed the implementation of that feature until I could find a satisfactory solution. That happened three days ago. I first switched from textual to graphical buttons below the player, to save some space, then I added one more control - Animation Mode - under a button that looks like a little rotary switch. Along with the Animation Speed button, they offer control over the slider animation feature. When Animation is turned off, both Mode and Speed buttons are still active - that is, your can still change their values - but you won't hear their effect until Animation is turned on. When their effect is inaudible, Mode and Speed buttons are circled by dots instead of a plain line. If you try to modify them, Animation will turn on automatically. Animation speed is self-explanatory : it offer a wide range, from 4x slower to 4x faster than the default speed. Clicking the Animation Mode button will take you through 7 different algorithms. Next mode is Minimax. There you can set the minimum and maximum levels for the sliders. Min and Max are global values. You cannot set individual values for each slider. It's a compromise that allows to keep a clean user interface. Min and Max are simply taken from the sliders positions, where min is read from the lowest slider, and max, the highest. Zeroed sliders are excluded from the set, so zeroed sliders will keep muted, and zero will not be taken as the minimum value for the other sliders. Keep clicking the Mode button and you will arrive to the Extreme setting. That one is like a random toggle. Either a slider plays at its full initial value (100%) or muted (0%). As it closely mimics the 'Meditation Room' feature that was available for Patrons, that 'Meditation Room' features has been removed now. Next comes the Shuffle mode. That one is really powerful and versatile. 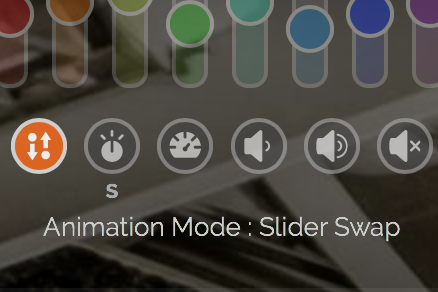 The idea is simple: during animation, each slider can take another slider's initial value. That won't work when all sliders are set to the same value before starting animation; however, if you turn one single slider to zero from there, each other slider will then have a 1/10th probability to get zero on the next animation snapshot. If two sliders are turned to zero, then, that chance increases to 20% (=2/10). Of course, you are not limited to muting sliders, any value will work and produce interesting results. To best understand how it works, start with a flat slider setting, with a couple of sliders set to different positions. Unlike the other modes, zeroed sliders are part of the equation this time, and can have their value set to other slider values. If you want to keep zeroed sliders muted, select the next animation mode, called... Shuffle, zeroed excluded. That's it. It's simple yet complicated at the same time. And it's a huge imporvement over the original animation feature. PS. Slider positions that serve as a reference for the animation process are grabbed when animation is turned on. So, when you switch animation modes while animation is running, the new animation mode will still refer to these reference positions grabbed earlier, not the current animated slider positions when mode has been switched. April 19th • If you are a patron, please skip this blog entry. I am not asking for contributors to contribute more, but more people to become contributors. And you already part of my supporting users. Thank you so much! I do not understand why this is happening. Support is getting low these last weeks. The "Please support this website" banner that is supposed to show up only sporadically when funds are low, looks like a sticky now. And that is getting me a little nervous. I even de-activated the banner at the moment, because, honnestly, it depresses me. Of course, I should keep calm, as there will always be up and downs... but here is the thing: myNoise is getting popular, around the 7500th most visited website in the US now. Its number of visitors keeps increasing, and so are the costs associated with running the website. 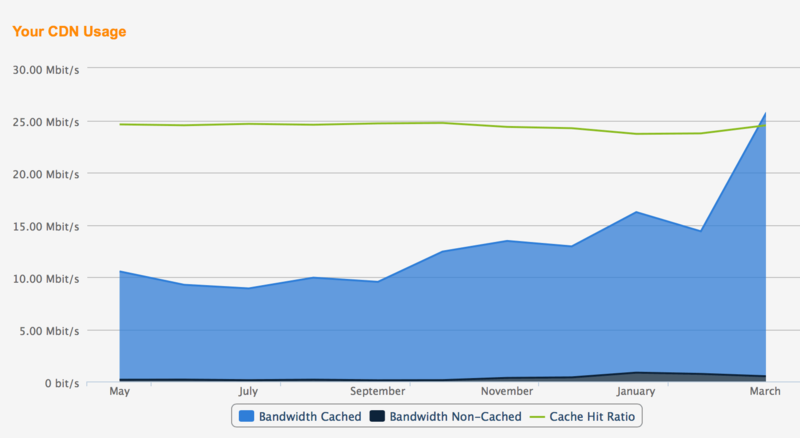 The continuous bandwidth required to run myNoise.net almost tripled over last year (see graph). It jumped from 10Mbit/s to 25Mbit/s (continuous, not peak). The associated costs with the hosting doubled (myNoise got a better pricing, as a premium client). But I am facing other issues too, like fixing a monetary reserve to defend my intellectual property rights as a growing success also means a growth of abuses around the site. Plus the costs of recording original sounds, which sometimes implies travelling abroad. Despite of the number of visitors increasing, the number of new contributing visitors has dropped. I cannot exaplain why. Maybe it is a side effect of the support banner keeping constantly lit: people do not pay attention anymore. So, please, if you regularly use this website, if you are not a contributor yet, and if you read me now, consider donating something. Unlike you may think, not many people donate. Less than half a procent. So, do not rely on others to keep the site running. With love and passion, Stéphane. Even more enjoyable, if you have the budget... build several of these setups, and assign different sound files to each of them: a water stream, birds, cicadas, for example. Hide the speakers around your living room, and wait for your guests to arrive. A true surround-sound experience that will give your living room a relaxed atmosphere and amaze your visitors! Plus, it's a good opportunity to introduce myNoise to your friends and help me spread the good vibes. January 10th • My greatest pleasure to officially announce the release of our (long-awaited) Android myNoise App. We've rolled it out quietly before the week-end, and checked if it was solid enough to be officially announced... and it is! It is version 1 at the moment – still basic – but it will get more complex over time and future updates. Please download it, rate it, and share it! PS. To thank our Android users for their patience, we've temporarily added the excellent 'Warp Speed' to the free bundle. January 2nd • A Happy New Year to all of you... and a surprise for those who returned to work today: a fully featured and brand new website called Noises Online. Noises Online is my second website/experiment that aims to offer an online noise machine that is more intuitive to use than myNoise. 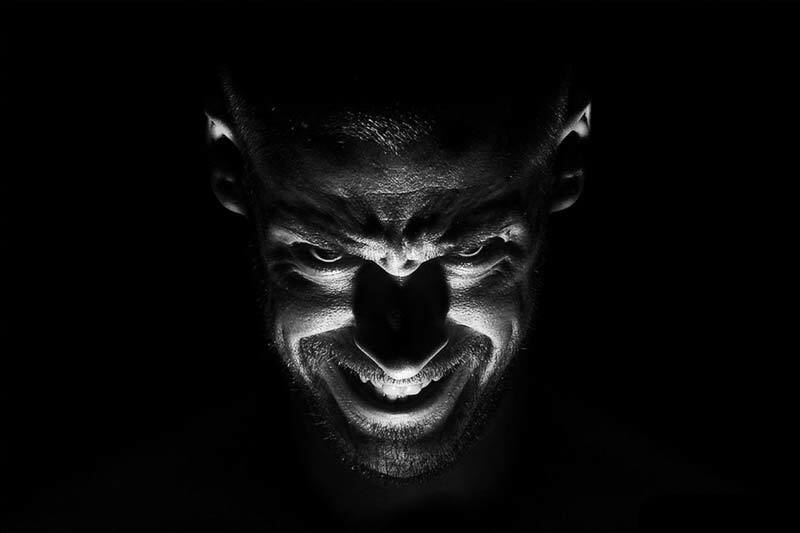 Unlike Calmy Leon introduced a couple of weeks ago and which excels at producing sounds that always change, Noises Online focusses on static background noises only. It relies on the sounds I've captured during my Sampling Sessions for myNoise, but uses some sources that haven't been published yet! So, if you are curious, please visit Noises Online, and if you like it, please help me to promote it, maybe with a Facebook post, or a Tweet. Thank you very much! 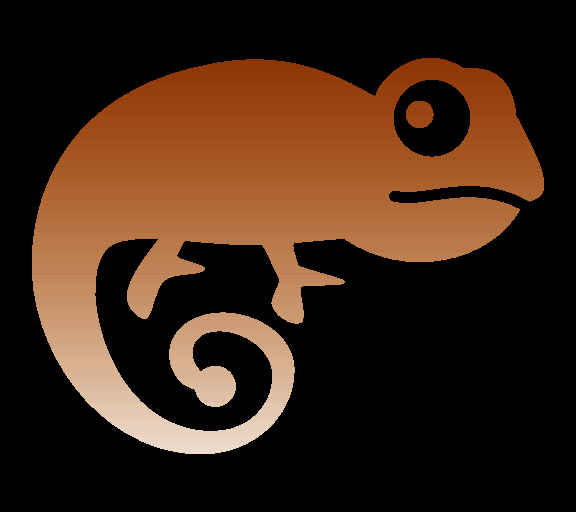 November 23rd • My greatest pleasure to annouce the release of a new website called Calmy Leon – the calm chameleon – at CalmyLeon.com. For a large number of visitors, myNoise is too complex to handle at first glance: too much text, too much links and too many choices (what are all these sliders for???). Overwhelmed, they only stay a couple of seconds then leaving, not even giving a sound generator a try. On the other hand, the regular users like how myNoise is articulated: a well organized chaos. Instead of trying to change the design of myNoise, I came with the idea of introducing new websites, build around the same collection of ever-growing sounds, but with a different user interface. Calmy Leon is the first of these websties to be released. It plays sounds that are always changing, and relies on the techology developped for the myNoise radios. It's free, but open to donations like myNoise. If you are a regular myNoise donor and have 5-stars associated with your account, you will be given a patron account on Calmy Leon as well (claim your access here). Why the 5-starred myNoise patrons only, and not all my patrons? Because Calmy Leon streams audio data from my server continuously (exactly like the myNoise radios), while regular myNoise generators load the sounds in your computer memory before playing them. Constant streaming has a cost, and is only viable with a minimum amount of support. There is no way I can offer a full Calmy Leon access for USD 5,00 a lifetime, for example. But I am happy to offer a Calmy Leon patron access to my users here, when their contribution cover the costs of a streaming access.Now, the free version of Calmy Leon will already provide the visitor with countless hours of listening pleasure, without ads, and without constantly begging you for financial contribution. So, like on myNoise, the people that are contributing, help to keep the site running for those who cannot afford a paid access (e.g. young students). And that I like. His name is Leon, and he is very calm. Have a listen at CalmyLeon.com. If you are a 5-starred myNoise patron, claim your privileged access here. Enjoy! October 2nd • I've been receiving messages from users, complaining about audio issues lately. These issues may affect a large number of users, including patrons :( If you are experiencing problems right now, please do not donate. Donating will not help, and will make you even more frustrated. Unfortunately, reports I received are vague and I am unable to find any problem at my side... so, it is extremely hard to fix. Therefore, I am calling anyone experiencing problems with audio playback at the moment, to contact me (support 'at' mynoise 'dot' net) - so we can further investigate the issue and hopefully fix it in a near future. It could be related to Safari (OSX). It seems that the sound will play fine for a couple of minutes, followed by a long break, and fades ins and outs. Some buttons like Animation and Timers may appear as disabled too. October 2nd • Android Beta 2 released! 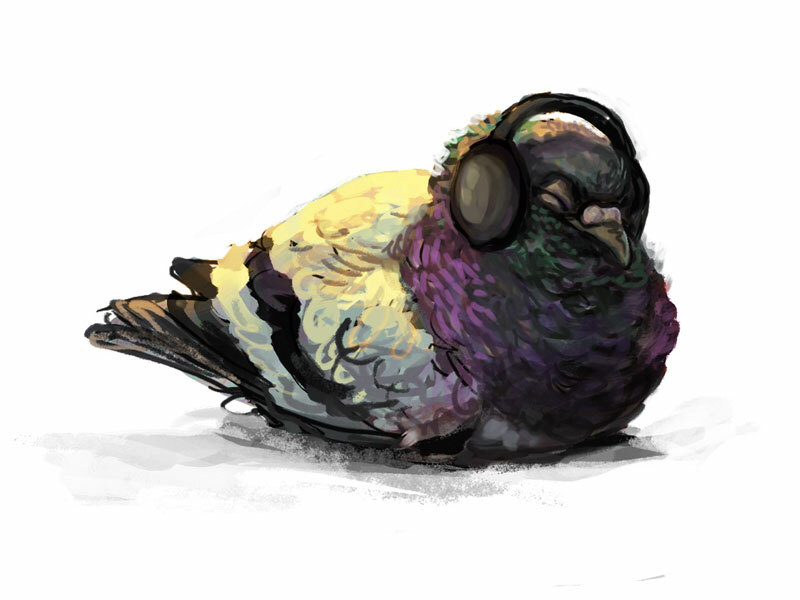 This new beta is light on features but fixes most of the bugs found during the first beta, and we also entirely rewrote the audio engine. It's faster, more battery-efficient, and the audio files we use now are even better than before! If you are willing to help, could you give us feedback on audio quality? Pops, changes in volume... We have change a lot of things under the covers and some phones seem happier than others... More info available on Bitbucket. Make sure you visit the myNoise Beta Program on the Google Play Store (on your phone preferably) to enlist. June 13th • My pleasure to announce the release of a major new website feature: myNoise Radio. June 9th • Let's throw numbers today, with a topology of my current users. Non-contributing members represent the majority of my visitors. That is no surprise, though their proportion could be surprising: 99.7%. The remaining 0.3% represent my non-non-contributing visitors, the people who are helping me financially to keep the site running and growing. My first impression? Engineers are very poor marketers (a conversion rate of 0.3% is a poor performance indeed). My second impression? I am super grateful to those of you who are donating. Although you represent a tiny fraction of my visitors, you are the fraction that matters the most, for obvious reasons. And guess what? 10% of you... just keep donating! Wow! (That is 0.03% of the total number of visitors, probably the natural fraction of the people dealing with memory loss - just joking). You are the pioneers behind myNoise. Those I should really really care about. To express my deepest gratitude, I am designing a brand new killer feature for you - just for you. Still refining my current prototype at the moment, but as it starts to look nice, and to sound nice, let me share a sneak preview. Soon, live, on myNoise! May 18th • Do you know that your donation gives you credits that can be used to order custom audio files? Just follow the links labelled 'Order as an audio file' found on every generator page — and now, on each magic generator page too! I used to work on these custom orders manually, hence the relatively high prices set to limit the demand. Now, I have invested in a dedicated computer — an Apple Mac Mini — and programmed scripts that are supposed to take care of what I did manually. As a result, I have lowered the prices for these custom orders, drastically. A 5-minute audio file won't cost you more than what you are used to pay on iTunes or Amazon, anymore. And remember, these audio files are made to order! That is a technical performance I am proud of ;-) Enjoy! PS. These audio files use my master recordings, and should sound better than what you would get by recording your computer's audio output while playing a generator. So, please support my website, instead of resampling one's generator output. Thanks! April 30th • I just came back from a 4-day sampling session in Poland, with a lot of sounds in my bag! The theme was the 'Natural Elements', such as the Earth, Air, Water and Fire. I would like to thank Marta — a Polish myNoise fan — for organising my staying. She opted for a hostel in the middle of the woods without electricity, and that was just perfect... for me and the budget allocated for this session. She also took care of the most impressive of the elements mentioned above... fire! 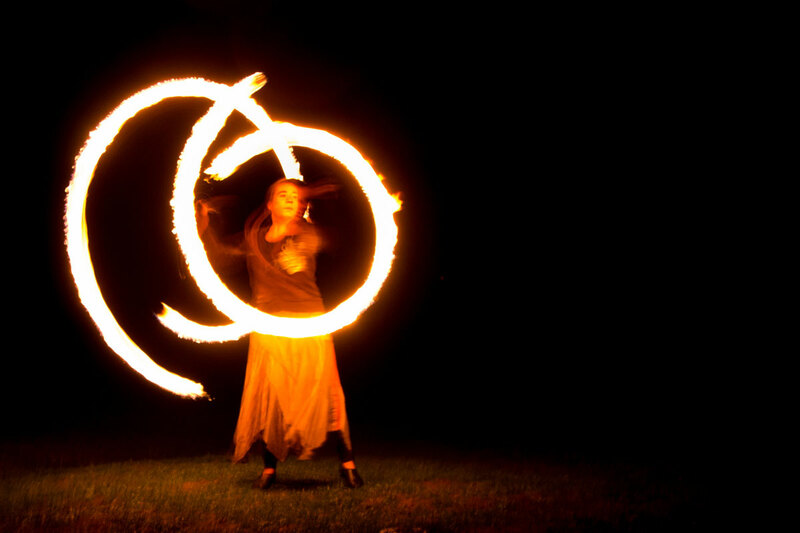 Marta is a fire dancer indeed. Anecdotally, she also helped finding some 'lost' audio equipement. I have the habit of hiding recorders behind me when hiking in natural landcapes such as woods in this case, and have them continuously record sounds for 24 hours. When it was time to find out what has been recorded, I couldn't remember where one of these recorders was hidden. But Marta did. It's with her help that you will soon hear a lot of new birds recordings on this site! For those who are asking — you can't stop, can you? I am receiving a lot of emails on this topic ;-) — the Android App is (still) progressing at slow but regular pace, thanks to the help of three developers now. A beta should be available to the public before this summer. 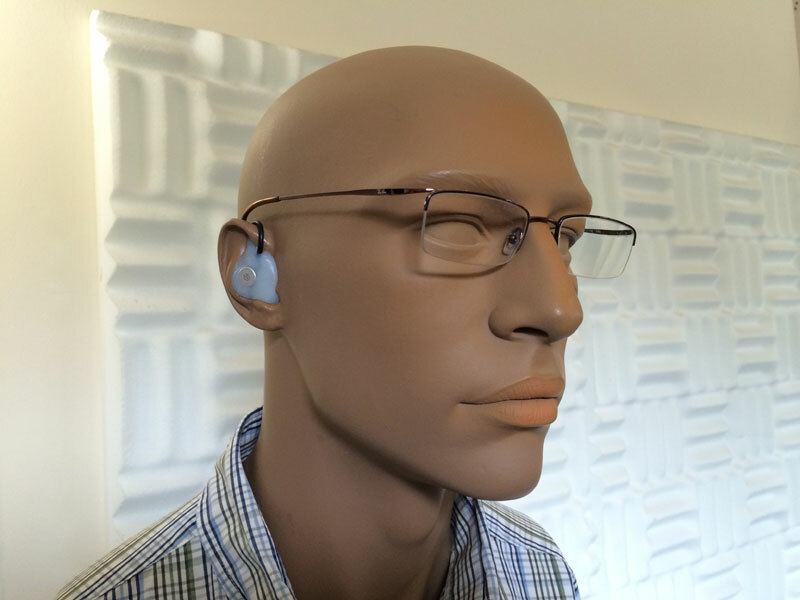 In case you missed it, I also wrote a review entitled : 10 Truly Useful Online Hearing Tests That Will Help You Monitor Your Hearing. Many users of myNoise feel concerned about suffering from a possible hearing loss. If this is your case, check out the links I compiled for you. Jan 5th • Happy New Year to all of you! My trip above the Arctic Polar Circle, has been a wonderful experience and a success. 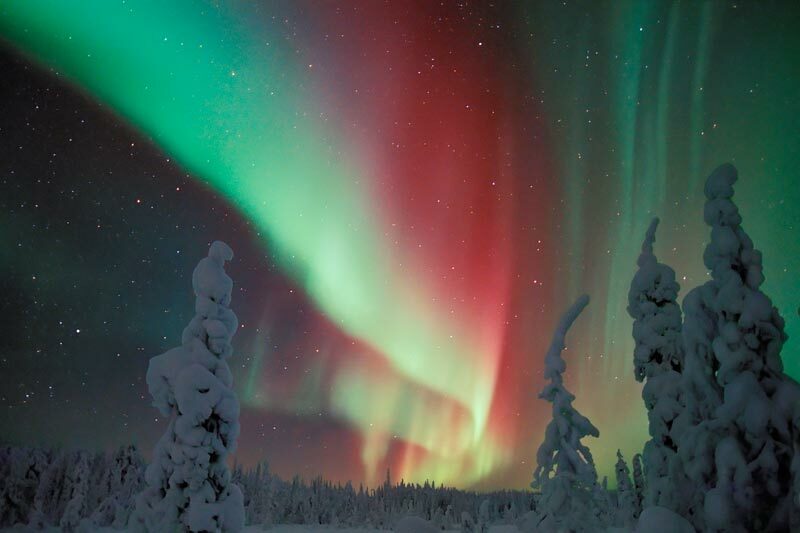 The previous post showed a Northern Light picture, as found on the Internet. This post shows the one that Mother Nature lit on my last evening, just before returning home. What a gift! It really felt like she wanted to thank me for living so close to her for five days, enduring the cold (-26°C) and the darkness, living in a wooden cabin without electricity, nor running water • Mission accomplished. I came back with the sounds I was looking after, and more! A short preview is available on my SoundCloud account. 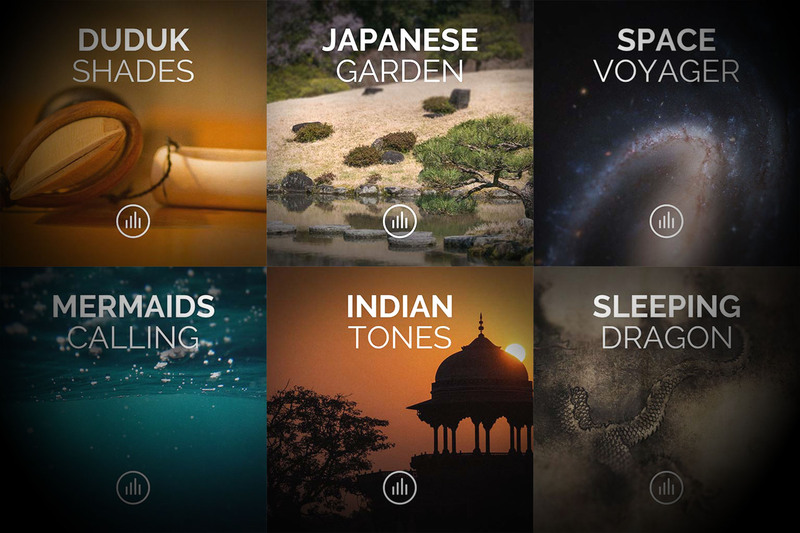 It will take time before turning these recordings into soundscapes for myNoise. There is a lot of selection and edition work to perform first — I haven't started yet. My recorders were running all night long, on various locations, to maximize the chances to capture the wolves I was looking (hearing) for (yep, that was it). As a result, I have dozens of hours of audio to process. Thank you for waiting. • 2016 should be a memorable year, with the release of the long-awaited Android App. We — our mobile App dev, Florian Doyon, and I — have decided to hire extra people, to fast-track its development. Yet, I want to remind all of you that programming mobile apps was not my initial plan, when I started this website. Priority is given to this website, and adding fresh contents regularly. Mobile apps should be considered as neat bonuses, resulting from my dedication to answer my user's requests. I receive many emails asking about the status of the Android app. Believe me, I am frustrated by the time it takes, too. But there is nothing we can do other than doing our best... Hopefully, this year, our patience will be rewarded. July 23th • It isn't much visible: from any noise generator page, there is a link that can be used to order a custom audio file; an mp3 derived from the particular sliders settings that are currently playing. I do charge for this service to bring some funding to the site, but also because these files require valuable resources to produce, and I have to find a way to limit the demand. Not offering these files for free, is very efficient at limiting the demand! ;-) Orders are processed on the computer I am working with. With an order such as the one-hour animated file, my computer's CPU hits almost 100% for about twenty minutes! Obviously, I can't start produce those files all day long. Or maybe in winter time, when I need to heat my office. Today, I introduced some interesting changes to this service. The first change, relates to the prices of those audio files. Shorter files are way cheaper now, and the longer one — especially the animated versions — more expensive. Yet, the cheaper prices are still more expensive than the audio you are used to download online. Remember, these are custom files, generated from your own settings. Downloading pre-rendered myNoise tracks at cheaper price, is possible too. If you want to do so, have a look at an artist called 'myNoise' on iTunes, Amazon, Google Play or Spotify. Then, the other change, is that you have to be a patron to order these custom audio files now. And there is a reason why: your donation is now used as a credit to order mp3s. In order words, you receive audio files for free, up to the same amount as your donation. So, there are chances that won't have to pay anything to order a custom file. Those who didn't donate in the past, but only purchased audio files, will now benefit of a lifetime membership to this website. I think bot patrons and non-patrons should be happy with this new scheme. And if everyone is happy, I will be happy too. July 14th • Today, a new project of mine has been just released! A project that took almost one year to complete. I am exhausted, but happy — it just feels like when I released myNoise.net two years ago. I am a bit nervous too. Releasing a website that plays audio in a non-conventional way is not guaranteed to work seamlessly in every browser, and every platform. 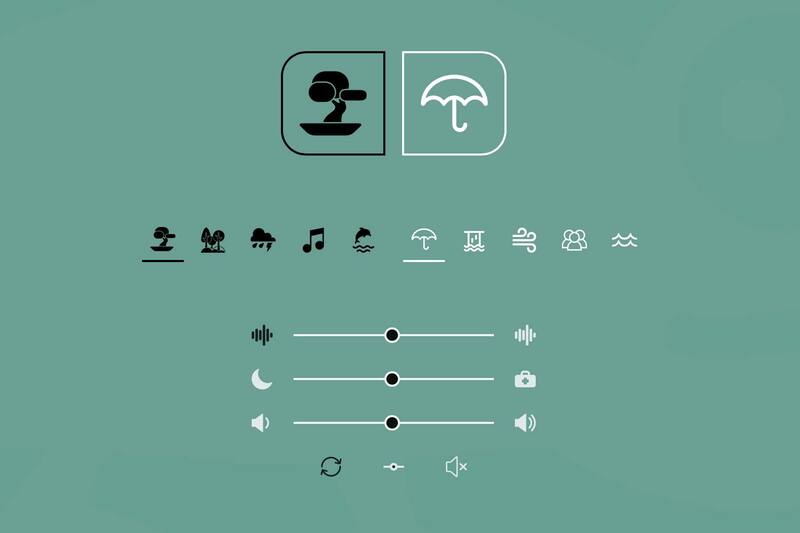 The website is called Rain.today and aims at generating naturally sounding rain noises, but in a different way than myNoise, and any other rain noise generator available online! myNoise excels in the way it shapes the spectrum according to your exact taste — i.e. the ten color coded sliders. Rain.today takes the lead when it comes to make the sound evolve over time, in unpredictable ways. Its main use is as a noise blocker, but you can use it for meditation, anxiety relief or sleep too. 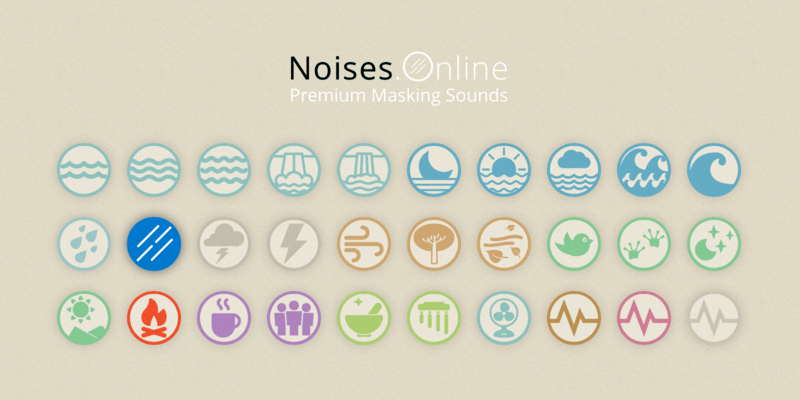 Both sites — myNoise and Rain.today — are complementary, and shouldn't compete with each other. When developing a new generator for myNoise, sometimes I feel frustrated by the constraints imposed by its custom sound engine. Rain.today shows what can be achieved, when both the sound engine and the sounds themselves, are optimized towards a particular use. Unfortunately, working on both engine and sounds takes a lot more time to complete, than just adding a new generator on myNoise. 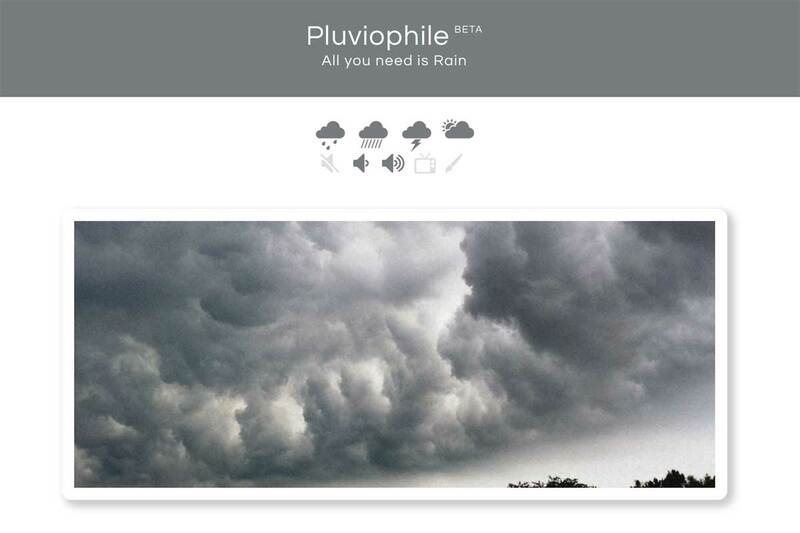 Like myNoise, Rain.today is entirely free, and offers a clean user interface, without ads. Enjoy! June 15th • Time for an update! Thanks to users helping, fabulous sounds have been added to the site lately. I am thinking about Alexandre Bartos with the Prehistory soundscape, and Pascal Pirotte with The Sound of Paragliding (just released today). But there are other users who occasionally contribute to this website, by sharing interesting recordings with me. These sound sources are dormant on my hard drive, until one day, the right soundscape comes into life. This is what happened with Mike Paul and his lovely chicken peeps on the What The Farm generator. Version 2 of the myNoise iOS App is finally out! What a relief. Credits to @NSMustache for the hard work! Version 2 adds the super-generators and two of myNoise's best soundscapes build-in : Spring Walk and Temple Bells - if you have updated the app without performing a complete re-install, these two generators will be available from the download tab (for free). Furthermore, v2 adds a search function, fixes a lot of bugs, and adds brand new ones! Hopefully, crashes are now reported back to us, which means that we will now be able to build rock stable app in the course the upcoming weeks. Last but not least, battery life has been much improved. 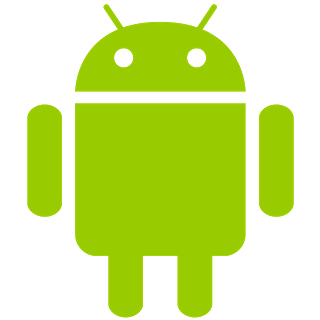 A Google Play App (Android) is on the starting blocks, with a release planned for later this year. Regarding the website, the newest generators are still all unlocked, and will keep unlocked from now on. I got used to it, users too, and the website looks so much friendlier now. Visitors donations are decreasing: that was foreseen, now that all new generators are unlocked. I decided to keep it easy. I don't want to get anxious about it: support is still sufficient to keep the website running, and to add new generators on a regular basis. Just the extra-ordinary sampling sessions - those who need a budget - will be paused for a while. Don't forget to promote the website around you. Increasing the number of website users is the best way to compensate for the marginal donation rate (less than 0.1% over last week-end). With love, Stéphane. May 11th • Today, I received a very kind email from Terri Reid, the author of fantasy novels. I enjoyed reading her mail, and so you will. Quoted with her permission. I just wanted to take a moment and thank you for wonderful auditory adventures you provide through myNoise. I initially found your site when I adopted two slightly feral kittens. 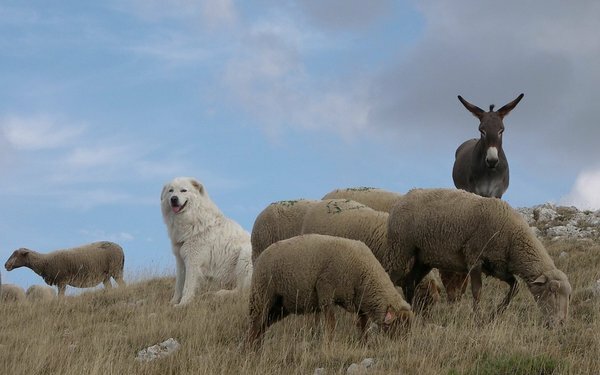 One of them did not trust humans at all, and was frightened by every noise and movement. I found your Cat Purr and had it play through my computer, it was amazing to see the difference. He was calmer and slowly came around. I am an author of paranormal and fantasy novels and I often use your site for background noise in order to block away the rest of the world, but also enhance the atmosphere where I am creating. 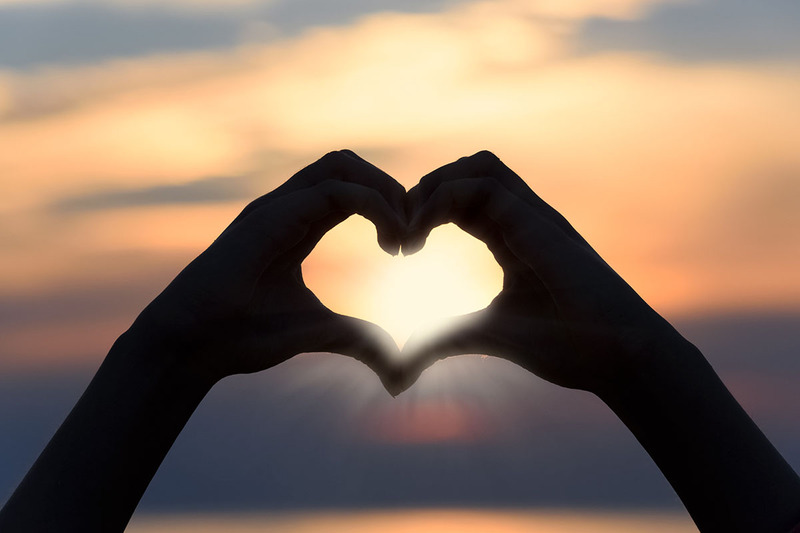 I have gratefully donated to your site – but I never took the time to thank you. However, something happened last night that has prompted me to mend the error of my ways. We live on five acres of land in a rural setting. 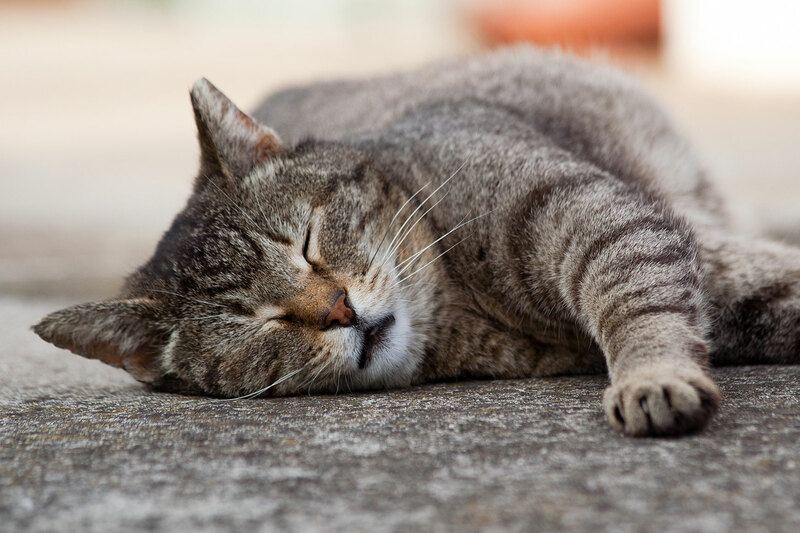 We have a variety of nocturnal wildlife – owls, coyotes, raccoons – all around our land, all potential predators of kittens. Yesterday we had company over and Boo, our feral kitten, who is only about eight months old, was accidentally let out of the house. I didn’t discover his disappearance until late at night. We had had thunderstorms come through the area and some of the company also brought their dog – who is not as polite as he should be - so I knew that poor Boo was probably terrified. My adult son and I searched and spied the reflection of Boo’s eyes near one of our outbuildings. Unfortunately, when my son approached, Boo took off, horrified. My son tried to catch him, but it only further frightened the poor kitten. I sent my son inside while I searched all over the five acres. Finally, I located him hiding in a large pile of tree trunks in the corner of the property. He was deep inside the eight-foot deep pile and even bribing him with his favorite treat didn’t work. Then I realized I had my phone in my pocket and the mynoise app on it. I opened the app and clicked on the Cat Purr sound. Within fifteen minutes, Boo was in my arms and safely traveling back to the house. I came back from the Sahara two weeks ago, with new sounds in my bag. It will take a while until they will turn into generators though. Sand ruined some of my equipment, but it was worth it! I've been hiking through fantastic mineral landscapes and slept under the stars. 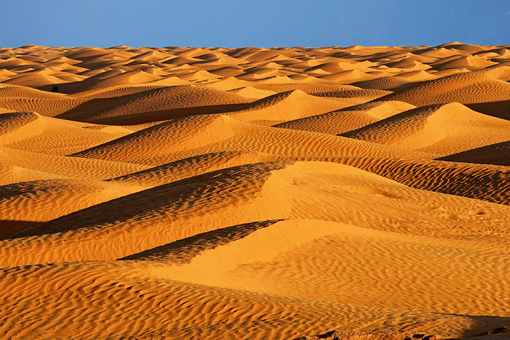 Desert was dead silent at night - something I didn't expect - but when wind blows, every single object starts to sing wonderfully! 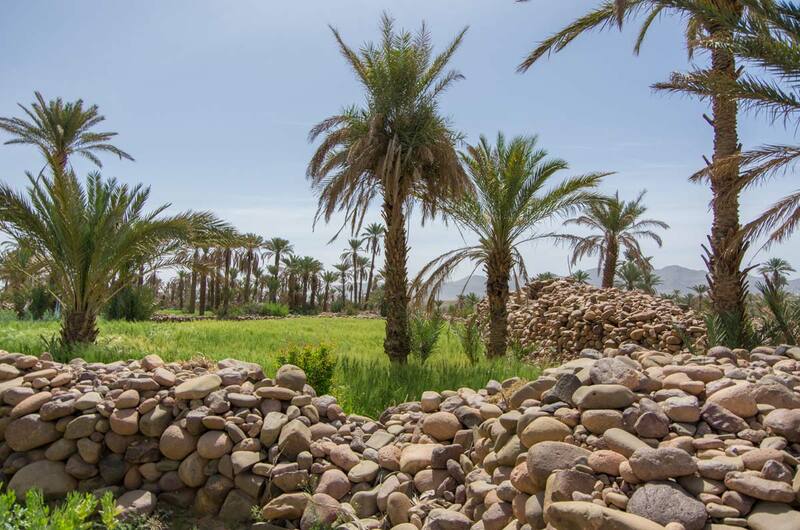 I'd like to thank Youssef - the guide - and Larsen - the camel driver for sharing their great Berber spirit with me, and the camels for carrying the tents, water and food for many days. And last but not least, thanks to all of you who support this site, and help me funding sampling sessions like this one. Next one will be in two weeks, around Mareille, France. I am invited to spend a couple of days with a fan of this site, owning and playing a wide range of unusual music instruments! Instead of blocking the use of multiple simultaneous generators as I did before (which didn't make much sense I admit), I am now working with short preview files (15-second audio that loops). When a user switches between different generators faster than one generator every 30s, loading the full engine for such a short period of use doesn't make sense. The generator then automatically falls back into 'Preview' mode, using the short audio file instead. This new behaviour should have a positive impact on the overall bandwidth strain on the servers I use. A full generator requires 5-10MB of data to load, while the preview mode only requires 250kB, typically. Now, if the generator loads in preview mode - but you did want to access the full generator - just wait a moment (likely 15 seconds or so) then reload the page. I hope you all will be able to accept such little annoyance. I think this new scheme makes sense, and I will now monitor its effect in the upcoming days. If it significantly impacts bandwidth in a good way, I may consider migrating the whole site as a CDN access, sooner than envisaged. Cheers! PS. As an outcome of this new scheme, there is a preview now running on all locked generators! Enjoy! Everything is kept in mind, but only implemented when I am amble to find/record convincing source material, and if the end result sounds convincing. Let's fill halved glasses of champagne all together, raise them in a toast, and cheerfully say : half-full is exactly the same as half-empty, but tastes so much better, indeed! Cheers! There will be some great changes in 2015. I received my notice at the Belgian Defence. The research project I've been working on, is now over, and there won't be a next one this time. This is great news : remember the half-filled glass. Actually, it's really a good news! ;-) Soon, I will have plenty of time to develop new generators and think about making this site even better. And have more time to travel and record new sounds. If your generosity keeps growing, I may even not need to find another job. So, my future belongs to you, dear myNoise visitor ;-) Think about donating something, once a year. USD 5 is really great. If everyone is playing fair like this, I would only need to care about the noise generators, not the money. Being trained to see glasses half-full at this point helps... because - when it comes to donations - it's not even about half... but half... of the half... of a procent (seriously). Let me tell you from the heart : keeping designing sounds for this website, without having to rely on another job, would be my dream come true. I do think that sound can help people in the many little worries of their daily life, in a very simple and humble way. Although the Internet is full of sounds, people keep telling me that myNoise is different. I guess it is the passion, but also the deep understanding of sound processing behind each generator that makes the difference. And... the myNoise user community! Without your help, myNoise would have just remained like it was, when it started two years ago, with just a couple of generators. PS1. After reading this entry, Frank Hell pointed me out that the glass is always 100% filled. It just depends on what substance you regard to! PS2. 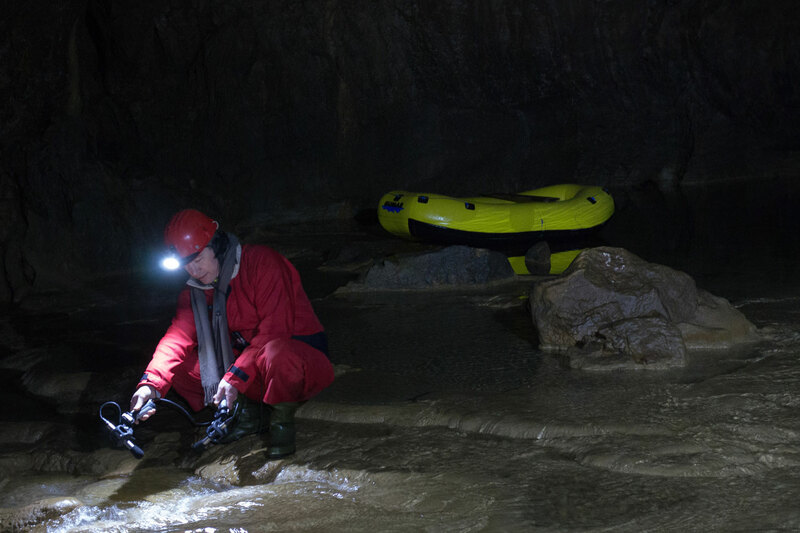 The picture above was taken during the Slovenian water sampling session, last year. For you, blog readers and contributors, here is a link to a generator that hasn't been released yet. It is one of my favorites so far. This generator is still in progress; minor changes may still occur before it appears on the index page. November 7th, 2014 • Back from Ireland for a week now! Due to bad weather, I could not embark on the sea as early as planned, but had to wait until the conditions cleared up: the swell was higher than 2 meters, and my skipper would not let us go on his 9 meter long embarkation. 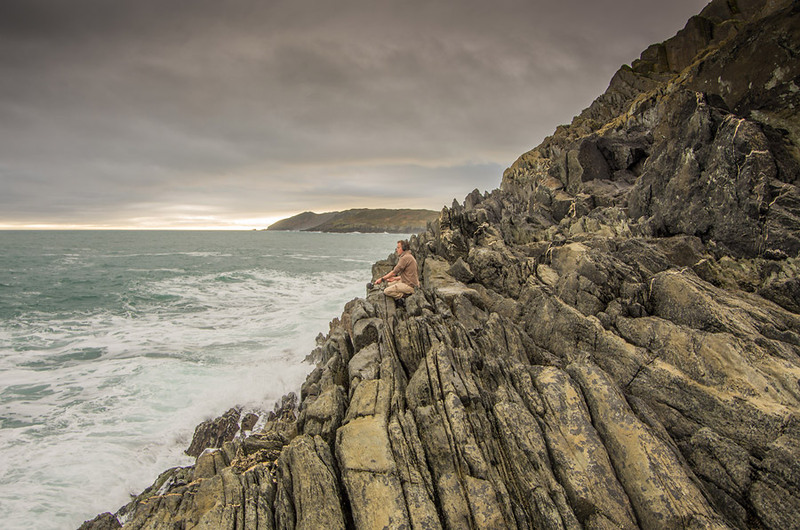 Hopefully, I could afford to stay up to four days on the location, in the hope that the weather would improve. In the meantime, I explored the coastal line, and made many useful recordings. But, on the evening of the second day, I received the "now or never" call and we embarked the next morning, in the early hours. What an experience! Before leaving the harbour, my skipper explained how to activate the SOS radio signal and transmit our GPS position if anything would happen to him. It was just a safety procedure, but what a mood-setter ;-) The sea was rough, indeed. Wind, water and rain in our faces, big bumps... and seasickness as soon as the motors where shut down to perform the underwater recordings. But this paid back, although I didn't realize it aboard: we have recorded some fin whales signals! Fin whales where indeed spotted two weeks before my arrival, but we couldn't see them. Because of the storm, spotting activity was stopped for a while, and my skipper had no clue where to look for whales. Also, the high swell made it difficult to spot them visually. The whales signals were totally inaudible during the recording - they are very low in frequencies, almost out of our hearing range - and were totally masked by all the sounds of the waves around our boat. So, you can imagine my surprise when I came back home and discovered signals I didn't hear. 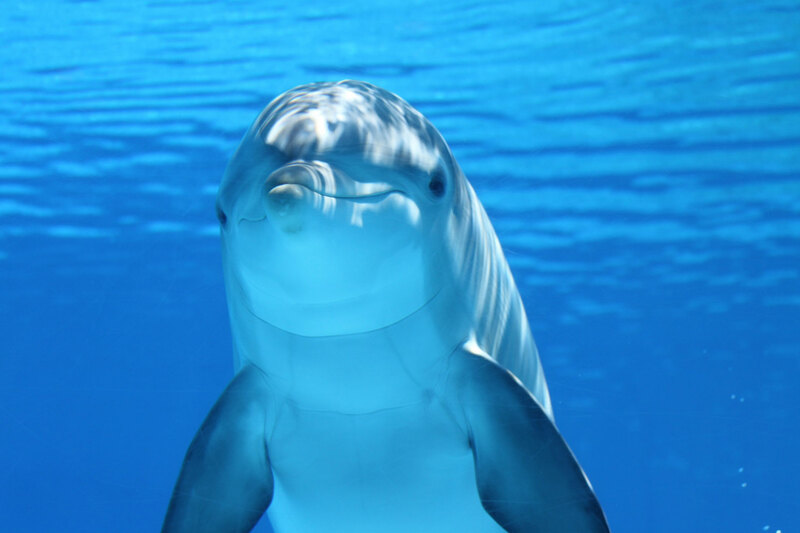 Low frequency sounds, in the water, can travel over very large distances. 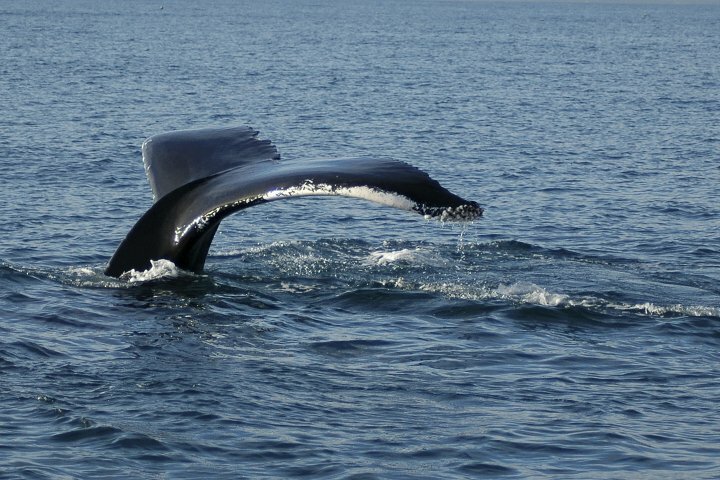 The whale I recorded, was probably a few kilometers away from our embarkation. So, I can say this trip was a success! I would like to thank all of you who have contributed to this website, again. Without your help, I wouldn't have been able to do this. Now, let's share a first soundscape with all of you, taken from this Irish coast sampling session. Let's embark together! En Route! Novermber 3, 2014 • Last August, I got interviewed by re=form's chief editor. Sarah C. Rich: Can you tell me first a little bit about yourself? 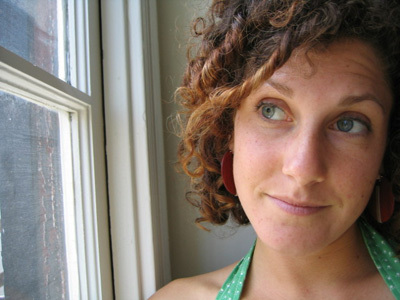 I read your bio but would love to hear a bit more about how you got interested in sound and how you connected or focused your academic studies around sound. Stéphane Pigeon: I learned to play classic piano when I was a kid. As a teenager, I became fascinated by synthesizers, which are capable of creating their own, unique sounds. Musicians can modulate the sound of their acoustic instrument, by varying their playing techniques, but only in a constrained sound space: an acoustic piano will always sound like an acoustic piano. Musicians are bound by the sound crafted by their instrument's manufacturer, and by the long history behind their instrument. If they want another sound, they have to learn to play another instrument. Talented musicians do this. Synthesizers give you access to numerous sounds, through a single user interface : a piano keyboard. And this was the interface I learned to play with -- what good luck! Synthesizers opened my ears to new sonic worlds. Despite my 10 years of piano education, I was not particularly talented. With synthesizers, I could design both sounds and music. And little by little, I naturally compensated for my lack of playing skills, by programming complex sounds. Today, I realize I've just achieved the ultimate shift: some of my sounds are so complex that they will only need one note to create something pleasant to the ear that can last for minutes, the length of a song -- just one single note! In parallel, my scholarly education has been oriented toward engineering. I followed in my father's footsteps. Little by little, I realized that there is a lot of mathematics hidden behind music and sounds. 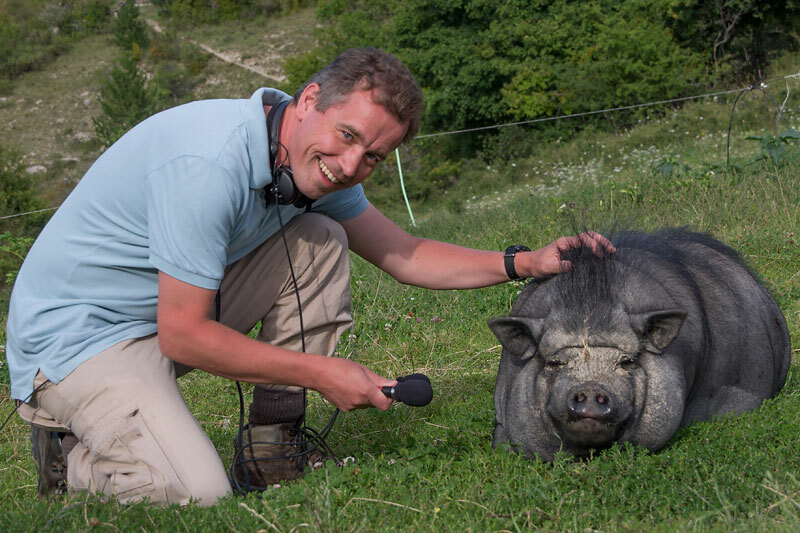 Not the pseudo-science thing (this could be an interview on its own) but the real nature of sounds alone, physically. Most of the time, sounds are artists' playgrounds. The engineer's mind will develop an understanding of what an artist often naturally feels. But with that understanding comes the ability to manipulate things at their core. Link to the full interview. Thanks to your nice support, I have been able to buy a pair of hydrophones, i.e. microphones that can be submerged and record sounds underwater (Aquarian H2a-XLR). And for testing them, Ireland is probably one of the best spots in Europe to meet whales and dolphins. Ireland is also easily accessible from my place, without spending too much money. Being able to record whales is left to chance though. I am not even sure to be able to embark on the sea, as it will much depend on the weather. A small boat has been already booked, for private use, so I can ask to stop motors anytime, and start recording sounds quietly. Even if hearing underwater life fails, there will be always many sounds to record around... The theme for this sampling trip will be "Coastal and Sea Life". At worst, if weather is really bad, it will turn into "Wind and Heavy Rain" with the sound of rolling waves in the background, which actually could be nice too! So, in either case, I will be happy to travel on your behalf, recording new sounds for this website! 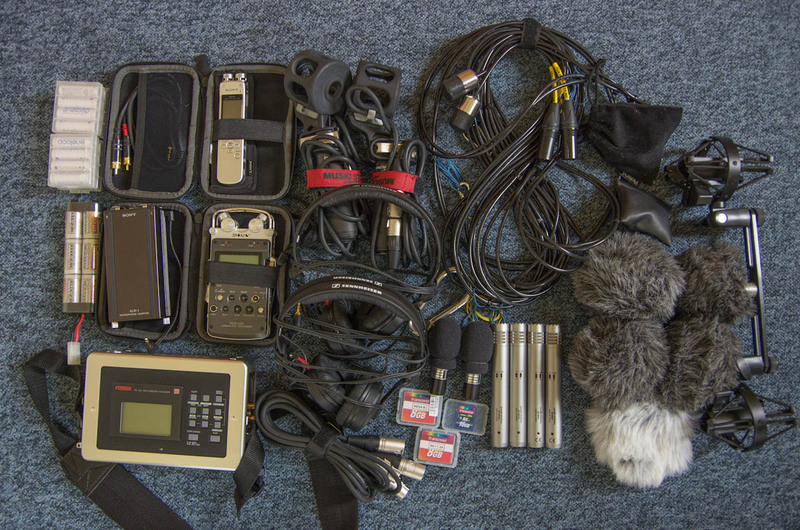 The picture shows my typical sound recording setup, during final checkup, before packing. Back to Oscar. Today, you will have a chance to hear him. You will hear him grassing 'only', but he can talk too - I assure you! This will be for a future soundscape. But now, enjoy the grassy fields and his inhabitants: Oscar the Pig, Esperanza and Dune the two horses, and then a lot of Goats (hi Princesse, if you read me) and other critters... Welcome to Grazeland. This soundscape has been recorded using my custom build microphones and is really worth listening though quality headphones. September 26, 2014 • From now on, shorter news - such as the release of new noise generators - will be published as short news snippets, accessible from every page by hovering your mouse across the "speech bubble", top left of the screen, right below the feather/blog icon. This means you will be able to catch up with the news very easily. This also clean up this blog which now will be used as initially conceived, that is to say, to share some 'behing of the scenes' stories with all of you. September 23, 2014 • Testimonials have been updated yesterday, and a new generator - Mr. Rhodes - has been added today. September, 16th 2014 • It is amazing to see how people do not only enjoy cracking the code, but also proudly publish their hacks to the public AND insult the people they've just stolen their intellectual property from. I totally feel I deserve that! So, what shall I do now? 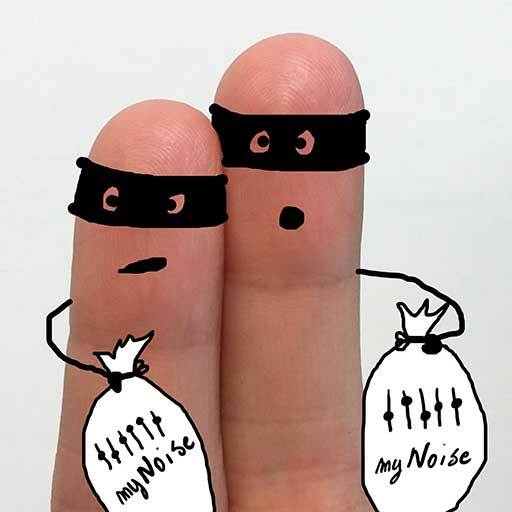 Try to develop harder schemes to protect the couple of myNoise generators and features locked for patrons only? This is not what I enjoy the most... So, I will keep devoting time on developing new generators instead, to the benefit of a whole community, not designing harder locks for trying to block a few. On the other side, I think it is a good practice and exercise for the younger generation, to look into somebody else's code, and find where it fails, if it does. This is a great way to learn things and I would encourage students to do so. Enjoying passing the head through a door that has been fraudulently opened, could be fine with me (although very debatable) - there must be a kind of reward to the hard hacking work - but man - don't leave the door open, invite the public to enter, and insult the owner! Respectable hackers - most are - will contact the website owner at that point and possibly discuss strategies to fix the weakness they have just found. This could build a long-term relationship, where the hacking skills could (should) be valued and rewarded, in a way or the other. What my code cracker ignores, is that I have his full name and address, despite the fact he has been hiding behind a pseudonym. It would have been so easy to post it here, and have a future employer searching the internet for references, find a page that refers to my guy linked to a story where he didn't play very nice. But this is not how good people should behave. So, let me do this instead: if you ever read me, A..y K..e from Edmonton, Alberta, you now realize that I am not cheating, here is something for you: it is never too late to become a good hacker! ;-) Cheers! November 6th, 2014 • This story is over. After reading this, that person contacted me, and apologized. September, 4th 2014 • Back home for a week now, after spending refreshing family holidays in a working farm (see previous post). Kids were happy (even my two teenagers!) - wife was happy (there were dogs too cuddle) - and dad was happy as well (to spend some time with his new custom-made microphones). In short, everyone was happy, and you will be happy too, when you will hear the new sound samples collected for you! Working on new generators will be for later this month though, because there are some very interesting new features coming along next... You will love them. Actually, one has been just released yesterday, a major one... the switch to a CDN network, that will make downloading times much faster! 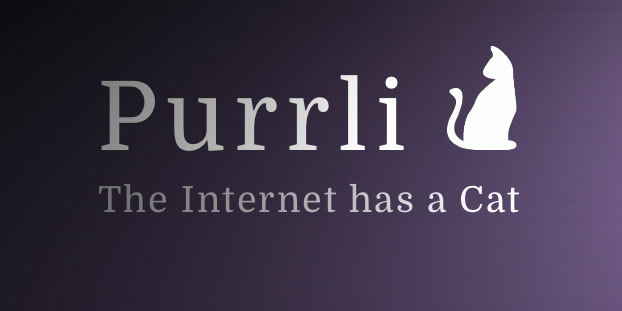 A CDN network replicates the contents of a website in many places around the world, and automatically connects users to their closest hub. Users from the US, CA, AU and Asia will notice a difference, as they were accessing the myNoise server located in Denmark before. Connecting to such a server has a cost... which I am ready to pay for... but only for those who contributed to this website, right now. If you are reading this, you are in the list! (the blog became public in the meanwhile). Don't hesitate to send a little message to me, if you have ever noticed some differences in downloading speeds lately. This would help me to judge if the money has been wisely spent. And don't forget to keep contributing at your will. A CDN costs about USD 100 per 1TB data transfer, which means about 1 week of traffic for a site like myNoise. I can't complain about the website success, but I now realize that my initial idea of having users contributing to their will, may become a challenge for me. Most website owners would start thinking about putting monthly subscriptions in place. But I want to stick to my initial philosophy. Cheers! August 11th, 2014 • Don't expect much activity around the website and new generators in the next days, I'm out on a sampling session for myNoise. The theme will be domestic animals, the big ones, those living outside in the fields. I will indeed share the life of a working sheepfold in France for a week. To hold on until then, here is an exclusive preview of a generator soon to be published: Stardust (we are all the children of deceased stars). Enjoy! User testimonials have been updated today. Thanks for the kind words! 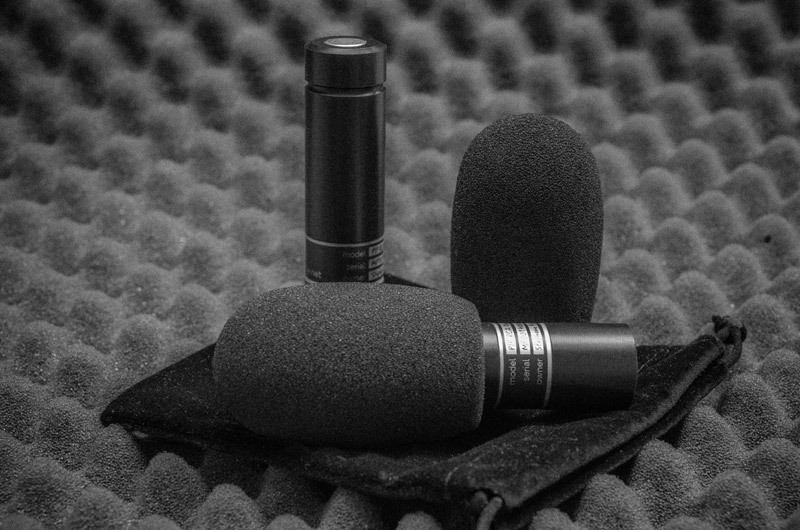 August 7th, 2014 • 'myNoise' miniature microphones are out. Built by myself, for myself, to record high quality sounds 'on the go' with the Dictaphone I always have in my pocket (the Sony ICD-SX1000 nowadays)... Now available to anyone interested too, as I built a couple of pairs. Read the full story behind these microphones here: mics.myNoise.net. Interested donors will receive a discount, or will even get them for free if they are able to record noises and sounds I couldn't have access to myself. July 29th, 2014 • A final rush... before taking a break soon. New feature alert... only for donors: 'Enter the Meditation Room' (under the Random section). What it does? Well try, wait and listen. (It randomizes the sound streams while keeping the slider settings. It ends up in an animated soundscape, but different style from the Animate button. More psychedelic... a kind of audible version of the lava lamp...). Enjoy! July 19th, 2014 • Keeping you updated with what is going on... No new generator has been added this week, although I am currently working on a couple of new ones, simultaneously. But none, has reached the quality for release yet. The most completed so far, is a soundscape that will be close to Winter Walk, but walking in a forest, in spring time (released today, on July 23rd). A big part of my time is devoted to the building of my own microphones. I completed the binaural one, which sounds amazingly good. Have a look at Mike, my new assistant ('mike' in studio engineer jargon means 'microphone', but it is also the name of a good friend of mine). I am working on my own 'matched pair' pencil microphones too. Once completed, this will allow me to send these microphones over the world, and have users record sounds at 'myNoise' quality standards, when they ever want to contribute to this site. This will be for later this year. These would be microphones of the highest quality standards, and the deal would be (I still have to think about it): if you have recorded something that made a soundscape online, you kan keep the microphones for you (in the hope that you would still send recordings to me ;-). What do you guys think? July 11th, 2014 • Cave Water was introduced as the first of a series. 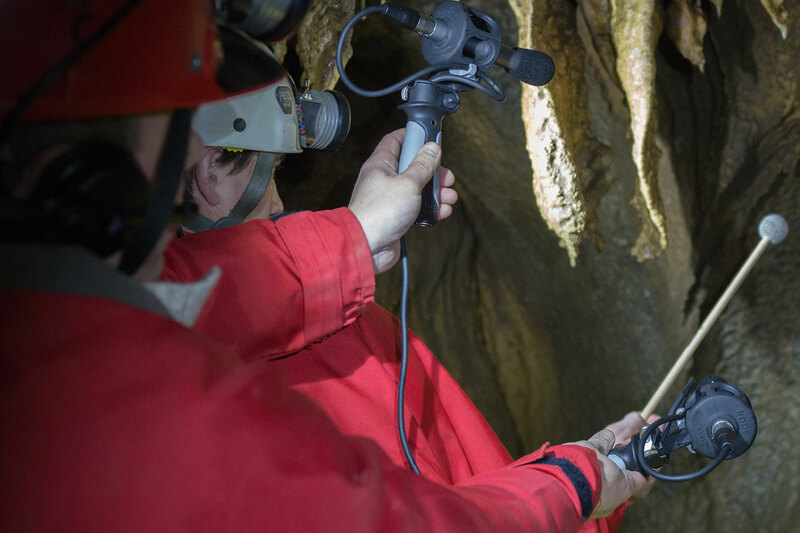 Here is the second sound generator based on our karst cave sampling session. Among the many recordings, other watery noises could have been chosen, but there is one very special sound I am eager to share: a sound associated with a natural musical instrument, whose manufacturing began 100,000 years ago! July 3rd, 2014 • Testimonials have been updated today. I am amazed how 'simple' sounds can help people in so many ways. Thank you for all the warm words. For you, contributors, here is a preview of the noise that will be released tomorrow: Laundromat. July 2nd, 2014 • Some of you asked for a cheaper alternative to the custom noises that are available for sale as audio files. I've been told they are too expensive, but people forget all these orders are processed and mixed by hand. These last days, I worked on a generic noise tracks and made them available for instant download through most major online music services, as a first trial. More of these 'albums' will be produced, if this answers a demand. Have a look here. June 24, 2014 • Didgeridrone has been just released today. It plays in the same key as the other soundscapes, and plays along very well. Have a try with the Tibetan Choir. June 17, 2014 • New feature for donors: Animation Control. Animation can now be constrained by three slider snapshots. Defaults are Brown, Pink and White presets, but it can be assigned to any slider settings. Enjoy! June 13, 2014 • Aeternitas has been just released: the ever-changing choir drone generator. It's like the Tibetan Choir, but Western style. This one took long to complete, but as I am hearing the final result while typing this message, I think it was really worth the efforts! Enjoy! June 2nd, 2014 • Shortwave Radio has been just released! This present means a lot to me. Donations help keeping running the website while still feeding the family, and are important to keep the project alive. But a present like this, means so much more to me. It means that myNoise is able to impact people on the emotional level. And this is the most rewarding to me. May 28, 2014 • I've been coding instead of doing sound design. A new feature appeared: variable animation speeds. Enjoy! May 24, 2014 • This one took a long time to complete... because I wanted to sound very versatile. Every slider controls a adds a bit of dust, sratches or hisses, individually... So, the challenge was to generate all of these as individual sounds! I imagine people will have fun playing these along their digital audio tracks. Let's Groove, Baby!. May 6th, 2014 • Yet another recording made during the Slovenian water sampling session. This time, not in the underground, but in the open air. Flowing water remains one of our visitors’ favorite sounds - don't you agree? This babbling brook has been recorded only a few meters from its source (see photo): a puddle in the middle of a calm forest, where water rises barely perceptibly to the surface from underground. It was surrounded by moss, and silence. Almost too perfect to look and sound real. April 30, 2014 • Another soundscape relying on our Slovenian samples... This time in the ruins of a castle: Dark World. Not for the faint of heart! April 27, 2014 • Every morning - when waking up - I am eager to discover the kind messages posted online. There are about four or five of them every day. So far, 1500+ of them have been sent. When reading these, it motivates me to keep myNoise different, clean, useful, free, and only rely on free willing contribution to keep it growing. I feel like being surrounded by a huge community of incredibly heartfelt people. And I feel that we - all together -can make something huge. Thank you! The message that cheered me up, this morning: "This entire site is slowly changing my life, relieving tons of anxiety and stress and allowing me to focus when studying and writing for school. These sounds are so beautiful, I can't help but feel completely transported to a place of purity and light." 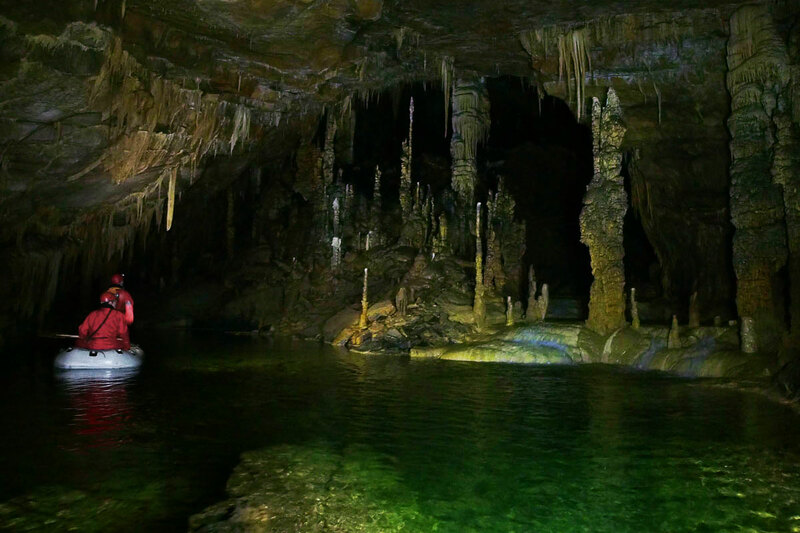 April 23, 2014 • Our first noise generator that relies on the custom recordings performed in Slovenia earlier this month has been just released: Cave Water. April 14, 2014 • Summer Night has been just released! This is the special noise generator I was referring to, in my March 21st entry. 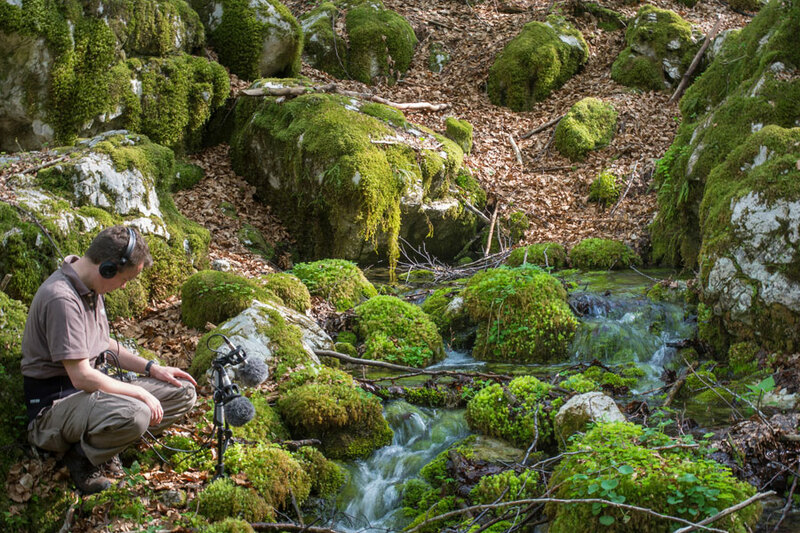 April 15, 2014 • Just came back from Slovenia, with many hours of very unique water sound recordings in my pocket: both in the underground (cave) and in wide open spaces (mountain streams and waterfalls). This will take me days only to audition, and weeks to edit and categorize... Amazing new sounds generators ahead! April 5, 2014 • Now departing to Slovenia on a field recording trip for myNoise. Will be away and offline a couple of days! Leaving Belgium in such a good mood, thanks to all the positive reviews posted on the App Store related to the new myNoise App release. Tomorrow I am packing up all my recording equipment and will take a flight to Slovenia. I will perform some natural audio recordings on the ground (in the woods and mountains) and underground too (in a well preserved cave). This will keep me busy and probably offline for a couple of days. 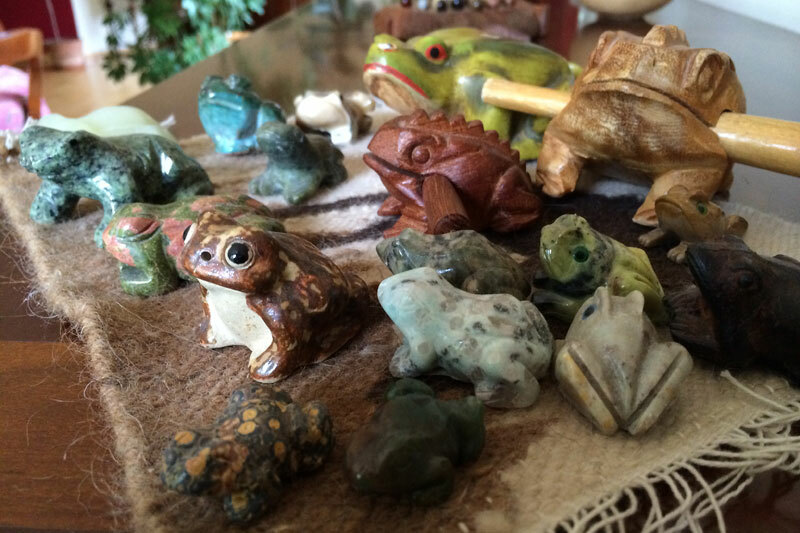 Expect some wonderful nature/spring sounds generators ine weeks to come! Thank you for all your financial contributions that definitely helped me afford this first "custom" recording session for myNoise! You all are fantastic! Truly. March 27, 2014 • Our App has been submitted to Apple today, for official release! And should be available for download in the next days. It is now time to tell you a little more about the upcoming App. We've been working on it for half a year now. Releasing a dedicated App wouldn't have been possible without the help of a professional programmer, who turned out to be a regular user of this website too! He knows what noise generator are for, he uses them on a regular basis, he understands how myNoise noise generators work - I told him all the secrets - and he knows how to program mobile Apps, definitely. This ends up in a remarquable App! Basically, the myNoise App is the equivalent of the website, but without an Internet connection required. It has been written from scratch: it is not just the website embedded in an App. This means - for example - that it consumes less power and less CPU than running the website from Mobile Safari on your mobile phone, or that sliders are more responsive. It also allows us to offer some neat features such as an alarm and a timer, variable Animation speeds, multiple calibration sets, user presets, and more. Last but not least, the App will play wirelessly, through AirPlay! I truly wished that the App would share exactly the same philosophy as the website: be entirely free, with the possibility of supporting the ongoing work through donations. We couldn't do that, but we are not far away though. Two reasons for this: we have a professional developer that truly deserves a compensation for his brilliant work, and second, Apple strict policy does not allow to collect funds in a way that by-passes its store. Apple wants its commission, that's fair enough. The best compromise we achieved is the following one: the App will be free and budled with our three most successful noises (and free means ad-free too). This in itself offers much value already: many other apps on the App Store try to make profit out of these exact same sounds, and have no calibration yet to propose. Our goal is to offer all users a high-quality toolbox that will help them in many circumstances: white noise for noise blocking, open offices, tinnitus therapy; rain noise for noise blocking, anxiety management and meditation; and binaural beats for personal growth, mind change and sound therapy. 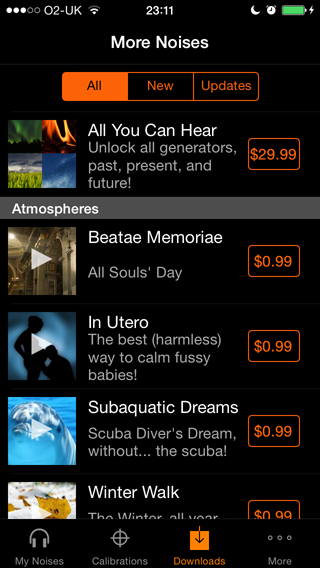 The rest will be available as individual In-App purchases, or as an 'All You Can Eat Hear" option (see the screenshot). March 25, 2014 • Aural Scan has been just released! March 24, 2014 • Testimonials have been updated today. I am always amazed by the kind words I receive. A Quiz: 'My leopard gecko also likes it c: he sits and listens with me.' What is this listener talking about? Answer: the Jungle Noise, of course! March 21, 2014 • iOS App v1 will be submitted to Apple next week (still beta testing). I am working on two new generators in too... One will be amazing, definitely, and seriously fun: I will be using natural sounds to explore the very upper range of our hearing. A soundcape that young people will definitely enjoy using, in order to challenge their parents. And a soundscape that your dog or cat will possibly... hate! Kind of the equivalent of 'mosquito tone' (ask your teenager) but with sounds from mother nature only. March 27, 2014 Update: Ouch... this is harder than I initially thought... and I will need some more time to find the appropriate recordings. In the meanwhile, the other generator I was referring too - Aural Scan - has been released. March 13, 2014 • Full speed ahead with the release of the iOS App. Our beta app has passed Apple's validation test. So, next update - that will coincide with the official release - shouldn't have trouble making it through once again. This is a great news and... great relief ;-) The upcoming iOS app takes much of my energy and time, these days. There might be a little delay before a new generator appears online. Thank you for your patience! March 11, 2014 • Almost final, so, I am posting it here: Welcome Aboard! February 27, 2014 • Real musicians, real instruments, and an ever-changing soundscape in the Eastern Asian tradition. The Three Friends of Winter have been just released today! February 24, 2014 • Testimonials have been updated today. About 300 new messages have been posted across all generators, in the last 30 days! February 20, 2014 • I have been working on a new feature, for donors only. It is still in beta stage, as I suspect that it might not be fully cross-browser compatible (your bug reports are welcome). Along with each noise, there is a new 'Clone as Minified Player' option. What it does is the following: it opens the same noise and its current settings in a separate, resized, 'minified' window. Your main browser then will stop playing, and go back to the noise index page, automatically - at least, this is what it is supposed to happen. You can use this function to launch multiple 'minfied' generators easily, and build complex composite soundscapes. Please keep in mind that such an usage may not work with all browsers or computer systems, as it is very resource-consuming. Therefore, it is only offered as a 'bonus' to donors, and is not intended to become part of the stock functions. 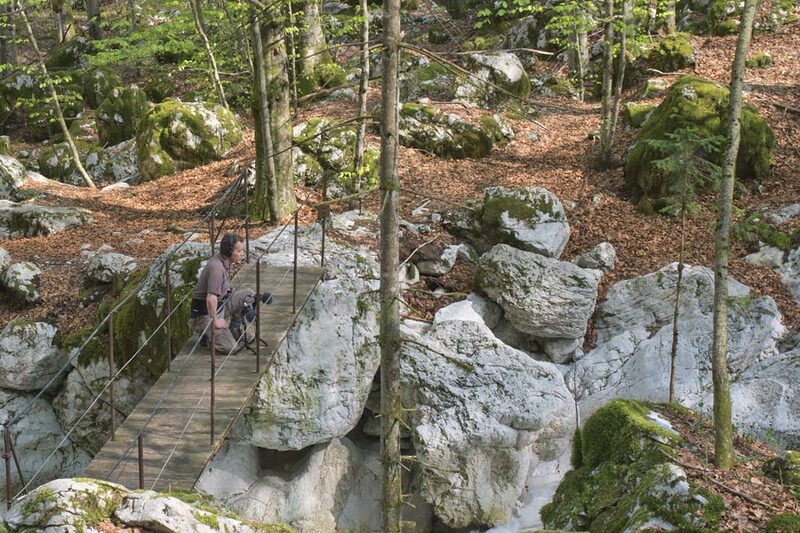 February 17, 2014 • I just received the authorization from the Slovenian governement to perform audio recordings in one of the world's most preserved caves, a treasure hidden in southern Slovenian woods, available to a limited number of visitors every year. It's an amazing world of obscurity, water and silence, only accessible by walk and rubber dinghy. Appointement has been taken with my guide, and a flight has been booked. Recordings will take place begining of April. I hope I will be able to reach the cave in its deepest levels, but this will depend on the weather conditions and water level. The picture has been taken during an exploratory visit in 2013. This place sounds incredible! February 14, 2014 • The noise I was referring to, a couple of days ago, has just been released. Enjoy the White Rain ! February 12, 2014 • Today's recipe: open this link in a new window (right click with the mouse). 'Animate!' it. Open this other link in another new window. 'Animate!' again. Enjoy! February 7, 2014 • Thanks to the donations, I was able to work two days on this project this week (while still working during all my evenings too ;-). I have to come with new generators, as it offers my work the highest visibility. However, there are so many other things that still need to be done! Right now, coding keeps me busy: for example, making the website compatible with the upcoming app, requires some changes in the website structure too. The App is progressing very well, with a planned release in two months or so. Once the App will be completed, I will have much more time to devote to new generators and new recordings. February 3, 2014 • Some users have been impressed by the depth and quality behind my latest Singing Bowl generator. The quality of the microphones, their position and the silence in the room played equally important roles. Not to mention the quality of the bowls, which - in my case - were handmade in Patan, Nepal. 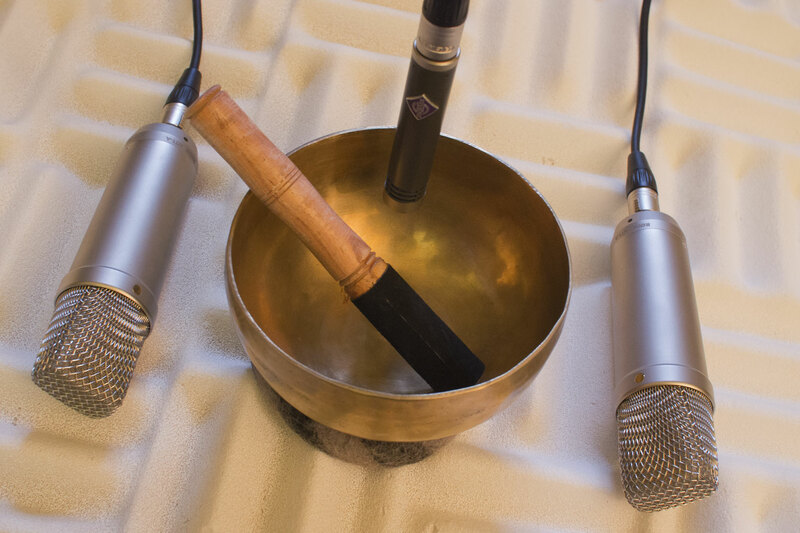 Many microphones positions have been experimented, to finally retain one where each microphone stays on each side of the bowl, separated by the equivalent to the average human inter-aural distance. Doing so simulates a situation that couldn't exist in reality, like if were hearing the bowl on both its sides witch of our two ears (as if our head was hollow with the bowl located inside!) The illusion is superb, and the sound quality when played through headphones, is amazing. February 1, 2014 • This blog just started. I really appreciate you all stand behind this project I am so passionate about. It may turn into a full time job, one day - future will tell us - but what is already granted, is my gratitude to all of you, the pioneers who donated from the start! You made me realize that keeping working on this website - all my evening so far - makes sense. When a new generator is just released, people can only see the top of the iceberg. With this blog, you will have a chance to dive underwater, and discover what hides below the surface. As privileged members and contributors, I think you all deserve a special access in the backstage. Hope you'll enjoy! Feel heartily welcome here.